The “Lying” King … Obama was for the Keystone XL pipeline, before he was against it. It is the story of the Barack Obama Presidency … Obama once again finds himself on the wrong side of the issue with a majority of Americans. As President Barack Obama heads out on his faux energy tour trying to show Americans that he is the “Energy” President in the face of escalating gas prices … 57% of Americans are in favor of the Keystone XL Pipeline. Obama finds himself in a heap of trouble as Republicans and Independents are strongly in favor of the building of the pipeline. Even Democrats by a 44% for 38 against, are in favor of the Keystone XL Pipeline. This can explain why Obama felt the need to flat out lie to the American public and portray himself as being in favor of the building of the Keystone XL Pipeline.Obama actually had the audacity to do a photo-op appearing before a backdrop of oil pipelines in Cushing, OK where the Obamamessiah stated that he was making the construction of the southern portion of the pipeline a priority through an executive order. How pathetic can this President get? This is nothing more than a political stunt. Too bad that the building of the pipeline did not need Obama’s approval and anything that he was taking credit for was already in the pipeline, if you will. Please, this after Obama just a couple of weeks prior willfully and purposely lobbied the US Senate to reject the bill that would have escalated the building of the pipe line. Obama highlighted his support for the southern leg of the controversial Keystone pipeline, which would carry oil from Cushing, Okla., to refineries on the Gulf Coast. I guess it is safe to say that Obama just had his John Kerry moment. Obama was for the building of the Keystone XL Pipeline , before he was against it. Wasn’t it Barack Obama who said we can’t drill our way out of high gas prices? I guess $4 and $5 a gallon gas prices has a way of making any GREENIE an oil lover. As Rush Limbaugh stated, what a difference a poll makes and a liberal MSM once iagain in the tank for Barack Obama and his lies. Another devastating Obama poll explains all that’s going on. I’m gonna wade through this mess and try to make the complex understandable. Well, I’m not gonna “try;” I’m gonna do it. That’s what we do here at the EIB Network. I’ll tell you, Obama’s campaign staff at the Associated Press never sleep. I don’t think they even take naps. The latest from the Associated Press. (I’m gonna give you sort of a headline rundown here, and then we’ll get into the specifics.) Headline from the Associated Press: “Obama Defends Handling of Keystone as He Puts Another Oil Pipeline on Fast Track.” He’s the obstacle! The American people know he’s the obstacle! The media know that the people know that Obama’s the obstacle. Yet here’s the AP! Folks, if I were you, I wouldn’t believe a single word that I read in any AP story. I simply would regard it… I already do this. If I were you, I would regard every AP story, particularly this year, as nothing more than a propaganda piece for the reelection of Barack Obama. 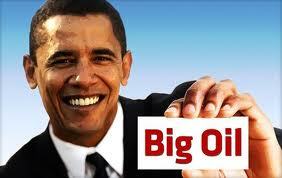 President Barack Obama Vetos Keystone XL Pipeline Bill … Obama Vetoes JOBS! House Passes Payroll Tax Cut Extention with Keystone XL Pipeline … Will Obama Veto? Obummer is a clown. Do we need this clown as a lame duck clown. Hell No, vite the Bum Out Nov. 2012.
and gone is the credibility of this post. What a photo op! Standing in front of some 16″ pipe hoping that he could fool some people into thinking that he was for fossil fuels.